Have you experienced disappointment in your ministry? If you even hesitate to answer ‘yes’, then I would wager that you have not been long in ministry, whether that is ordained ministry or some form of lay ministry. I say that not to sound cynical, but to be honest about the realities of ministry—but also as an important reflection on what ministry is about. The only way to avoid disappointment is not to have any hopes, and since ministry, of any form, is primarily about hope—our hopes of what God might do, our hopes for people coming to and growing in faith, our hopes for ourselves, as we grow in experience and maturity—then there is certain to be disappointment. The latest Grove Leadership booklet is on Facing Disappointment and it seems very significant to me that it is written by a diocesan bishop: James Newcome, Bishop of Carlisle. He opens the conversation with examples of real disappointment, including his own and that of close friends, in a variety of contexts. There was the vicar who believed he had been promised preferment by his bishop. He resented his younger, less experienced colleagues moving on to senior posts and wondered why his own gifts were apparently being overlooked. I soon came to realize that his own sense of disappointment and betrayal found an echo in the hearts and minds of many. Another vicar who comes to mind never entertained any thoughts of promotion. In fact, quite the reverse. He loved his work as a parish priest and was deeply committed to the people he served with great faithfulness and much self-sacrifice. His disappointment took a very different form. For two years before retirement he and his wife carefully planned how they were going to spend that precious time together when at last there would be space for all the things that had been squeezed out by such an all-consuming, hard-working ministry. Two weeks before he retired his wife was diagnosed with cancer. Six weeks after his retirement she was dead. And of course it is not only clergy who suffer disappointment as a result of the demands of ministry and vagaries of life. Lay leaders frequently find themselves frustrated and disappointed—not least by the limitations of their clerical colleagues. There are still many pastors who feel threatened by the gifts of others, or who are too insecure to be truly collaborative (in the sense of sharing power with others). James is not writing to run down ministry or make us gloomy—but in the belief that facing up to disappointment is key if we are to survive and thrive. I write with the conviction that learning to cope with disappointment is a key quality for all leaders to develop. Facing disappointment honestly helps us to build resilience, manage expectations and nurture faith and hope in ways which keep our focus on the author and perfecter of our faith. What I found so helpful was his willingness to face up to the real issues that confront us in ministry, including identifying the real sources of frustration and disappointment for clergy. Then, as the months and years go by, there are several other potential causes of disappointment for ministers and lay leaders in the local church. One is a culture of dependency which is often deep-rooted—and usually extremely frustrating. However much gifts are taught and collaborative ministry is preached, people are reluctant even to discover their gifts, let alone use them. Even when the process is made simple and transparent (for example, through the SHAPE course) there is no queue of willing and eager participants…. Then there are cherished, carefully laid plans which come to nothing or fizzle out halfway through. Despite all those vision sessions and awaydays, unforeseen obstacles arise which can be hugely dispiriting. With a building project, perhaps there are planning problems, or maybe well-orchestrated local opposition, or simply a lack of necessary funds. When a particular course or study group has been arranged, despite all that initial enthusiasm the excuses come in thick and fast (as in the parable) and you listen with semi-disguised envy to accounts of your neighbour’s wildly successful ventures. 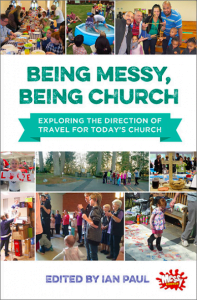 The wider church can also be a source of disappointment for church leaders, who often feel that demands made are not matched by support provided. Some chapter meetings and deanery synods are excellent, but some are not, and it is not uncommon for clergy—and lay representatives—to feel that their time could have been better spent. Meanwhile there is the ever-present spectre of parish share to be found, and the potential consequence for the parish of failing to deliver. Against this backdrop, some clergy and lay leaders wonder whether the hierarchy really understand the problems they face. Nowadays the expectations they have of, for instance, bishops and archdeacons can be almost as great as their parishioners have of them. 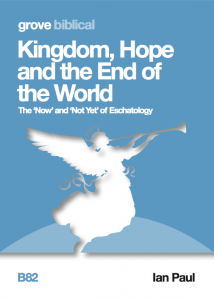 All this takes place in the context of a turbulent time for the Christian church in the West. What is more, as traditional moral norms and values are steadily eroded, Christian leaders (and others) can feel deeply disappointed with a church which seems to them either to be disastrously liberal and wishy-washy on core issues, or to be hopelessly conservative and stuck in the past with little appreciation of today’s youth culture. I’m very tempted here to mix metaphors, and comment that James leaves no elephant in the room unturned! Articulating these sources of disappointment might feel overwhelming, but in fact it is part of a deliberate strategy: we cannot address and live with disappointment if we have not faced up to it. James then goes on to reflect, briefly, on what the impact of disappointment can be, and then, at length, on strategies for engaging with it. A key part of that is gaining a new perspective. Sometimes it can help to take a fresh look at other people, at life, at time, and at God as a means of tackling (if not altogether understanding) disappointment. First, our perspective towards other people. Jesus was deeply disappointed by Judas Iscariot who betrayed him in the Garden of Gethsemane; by Peter, who denied him three times in the courtyard of the high priest’s house; and by most of the rest of his closest friends and disciples who deserted him just when he needed them most. And this disappointment was nothing new. Throughout his three-year ministry they kept doing and saying things which showed they really had not grasped the point of his teaching and example at all. ‘Do you still not understand?’ he spluttered in exasperation (Matt 1.9; Luke 18.34). But because Jesus was able to see them through God’s eyes, he understood, forgave—and ultimately restored (as with Peter by the Sea of Galilee in John 21.15–19). He goes on to explore other aspects of our perspective, including locating ourselves in a suffering world, and having a new perspective on time. The final chapter offers concrete ways of dealing with disappointment in a wide range of contexts. One of the most important—and frequently neglected—doctrines in Scripture is the straightforward assertion that each of us has been made by God in his own image and, as preachers sometimes point out, God does not make rubbish. That has obvious implications for our own self-esteem, and is also a reminder of our true identity as children of God. We are who we are in relationship, not least in relationship with our Father in heaven. He knows us inside out and loves us still. David Attenborough and Brian Cox have both helped to remind us of the extraordinary mystery that lies at the heart of God’s universe. The more we discover about the natural world around us and the galaxies beyond us, the more amazing and astounding it all becomes. 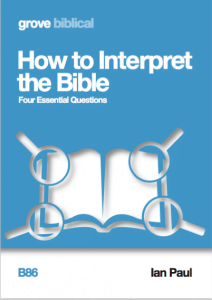 Job had not watched Planet Earth or listened to The Infinite Monkey Cage—but even he ‘repented in dust and ashes’ as God recounted some of the marvels of his creation, and admitted he had ‘spoken about things he did not understand’ (Job 42.1–6). It is significant that this happened before he was rewarded with a new family and even greater wealth. It is also significant that he was not just referring to biology, zoology, cosmology or astronomy. He was talking about God himself and the spiritual dimension of life, in fact the one dimension that alone makes sense of the others. He did not receive any simple or direct answer to his fundamental question about innocent suffering. Nobody has yet discovered one. But he did begin to realize that although God often does not offer answers, he does always offer himself. I think this is a profoundly important book. Buy one for yourself and buy another for your vicar or your clergy colleague. You won’t be disappointed! You can order online at the Grove website and the booklet will be sent to you post-free in the UK. You can also sign up to receive email news about latest titles as they come out. I am sure the booklet is very good. However, I frequently wonder whether the is a danger of encouraging ordained parish clergy to regard disappointment as a niche market. What about the disappointment of those who have trained and ministered for years, as Readers, but whose ministry is dependent on the ordained parish priest. Too often a new incumbent ‘releases’ gifted lay ministers simply because they are women. Or what about the daily disappointments endured by those in the congregation as they strive to raise families, hold down jobs or make ends meet on 0hours contracts? Or the disappointment of those who train ministers, lay and ordained, when they discover things are not quite as they have been presented. Is there a danger that books like this set clergy apart, rather than attempting to build mutually empowering empathy between priest and people? Thanks Liz. 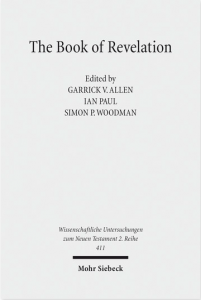 As Convenor of th Grove Editorial group that published this book I can assure you there was certainly no intention to ignore the concern of othepeople, and I note the other comments suggesting further books on this subject, which I think would be good. 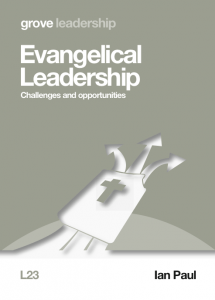 The Leadership series, in which this was published, concentrates on the particular issues facing leaders, in the church in particular and Christian leaders more generally. I entirely agree that encouraging ‘mutually empowering empathy’ is really important. Clergy are certainly not a breed apart, but there are specific issues they face regularly, as Bishop James’ book puts across very well. 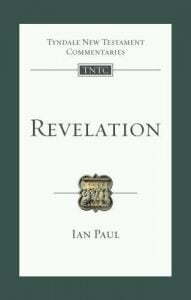 Books such as Philip Yancy’s ‘Disappointment with God’ cover a much wider breadth, and Rob Parson’s excellent ‘Getting Your Kids Through Church Without Them Ending Up Hating God’ focuses on disappointments younger people might face as they grow up in faith, and particularly in church. Looks good. Thanks. I see what you mean Liz but I suppose each vocation brings with it different kinds of disappointment. May be there is another Grove here? On another note but linked Ali Walton’s Grove on Dealing with Personal Criticism is also good – for lay and ordained alike. I don’t have much luck with Grove despite having a book contract with SCM. Agree with you, Rhona, though, a book on Disappointment in Faith or something like that would be very interesting. Or to take up an LICC theme, Disappointment when there IS a Sacred-Secular divide! When we were going through a bad time of disappointment over the lack of response to our very hard work and pastoral care, God asked us this question. Do you love me for myself, or just for what I can give? I think I was sometimes disappointed in my younger days, though I have to say that, although most of my training was not very good, in the late 70s early/80s there was a sort of grim realism in Wales which meant my expectation of ministry was not completely wrapped up in results or success. Though there was plenty of hope. I have to take a poke at late 20th C early 21st C evangelicalism here (well I would, wouldn’t I!) which, looking to “big Church” role models seems to have high expectations of “success”. But Catholics and liberals have their versions too, and none of us are immune from ego,and that’s why in the end disappointment is essential, and better yet,humiliation, if we are to keep growing up into Christ and put our ego in its right place. Disappointment is God’s gift to us to help us learn the difference between being humble (which is a pose in which the devil delights) and humility, which is only learned by humiliation. Thank you, Lord. It is significant that many of the individuals that God used to achieve his purposes in both the Old and New Testaments didn’t really want the job. They weren’t disappointed because they didn’t want it in the first place. I think that ‘calling’ is a very difficult process by which one has to filter out God’s leading from personal ambition. I think that calling is not necessarily permanent and may only be for a season ,for a particular purpose and may be revoked by God at anytime even though we still think we may still be called. Really interesting. I am disappointed all the time, but I think it is partly because I have high expectations/hopes. For the future a continual question will be how do I keep hoping and being expectant without becoming jaded, cynical or even hopeless. The gap between my hopes and reality is incredibly tough. In worship the other day I think I felt the Lord ask me “am I enough?” I.e. as someone has mentioned, is He enough in spite of what may or may not be happening.